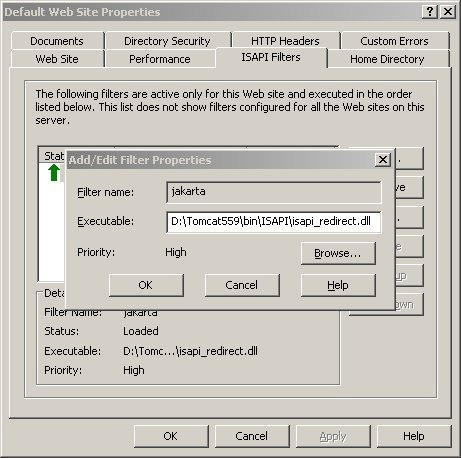 How to Setup IIS6 with the Tomcat 5 Connector – Step by Step Guide. A complete guide step by step with pictures on how to setup Internet Information Server (IIS) 6.0 and Tomcat 5 on a Microsoft Windows 2003 server to use the Tomcat ISAPI redirector. Go to D:\tomcat559\bin\ and create a folder ISAPI. Copy the Tomcat Connector, isapi_redirect-1.2.26.dll to folder ISAPI. Step 2: Modify two Tomcat properties files. Rename uriworkermap.properties to uriworkermap.properties.old to preserve the original settings. Rename workers.properties to workers.properties.old to preserve the original settings. 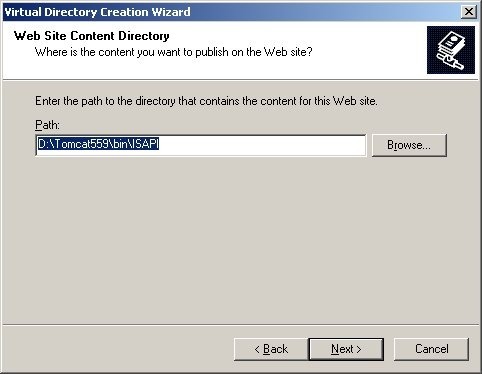 Note: that to add specific folders that are located in D:\tomcat559\webapps additional lines will need to be added following the same format above. Go to Web Service Extensions and select All Unknown ISAPI Extensions and press the Allow button. The result is the image below. Under Web Site, right click on Default Website. New > Virtual Directory. A wizard will begin, click Next. Select Read and Execute (such as ISAPI …) and click Next. Browse to the appropiate path as we setup in Step 1. In this case D:\Tomcat559\bin\ISAPI. Note: That jakarta is under Default Web Site as a virtual directory. In the right pane, the path points to D:\Tomcat559\bin\ISAPI. Under Web Site, right click on Default Website. Go to properties. 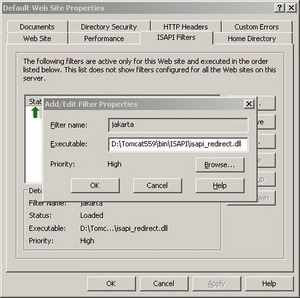 Go to ISAPI Filters tab. 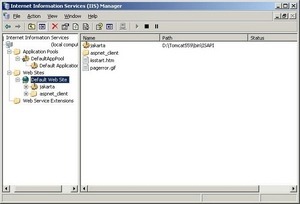 For Filter name: jakarta and Executable: D:\Tomcat559\bin\ISAPI\isapi_redirect.dll. Click OK. 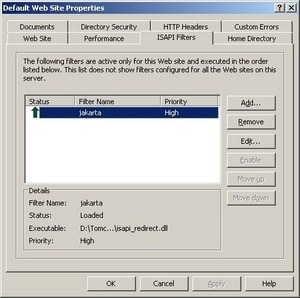 The result should be Status with a green arrow up, Filter Name, jakarta, and Priority High as indicated in the image below. 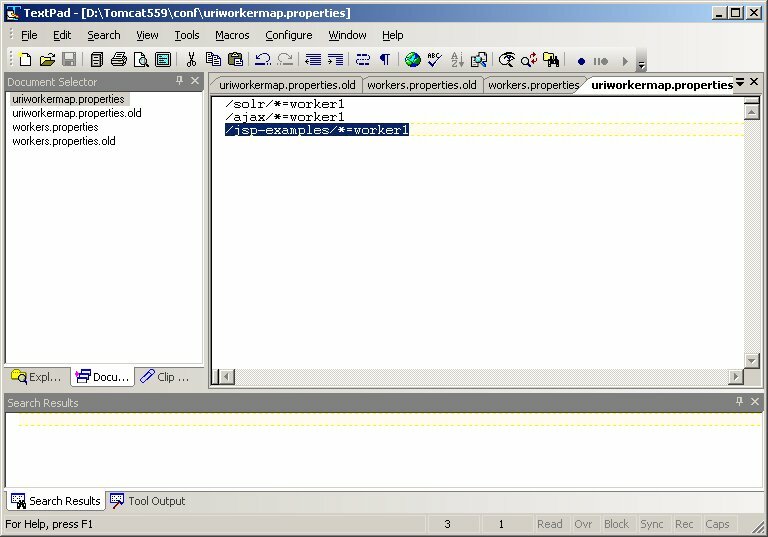 Remember that the uriworkermap.properties file contains a link /jsp-examples/*=worker1 as seen in the image below. This corolates with the physical location of D:\Tomcat559\webapps\jsp-examples. 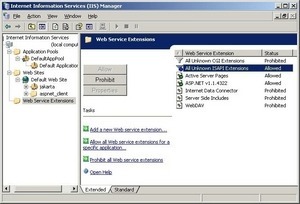 Open up your internet explorer and type in the following http://127.0.0.1/jsp-examples/ the result should be favorable. Tip: That the last / is important to the favorable results. 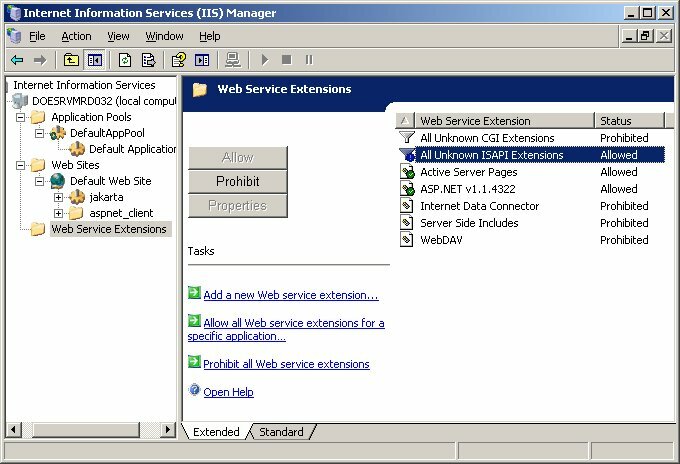 If you type http://127.0.0.1/jsp-examples without the last / you will get a page not found. Thought I would pass that along, as this added additional time to my testing and reconfiguring. If the preceding result displays JSP Samples then you have successfully configured a IIS >> Tomcat redirector. Done.